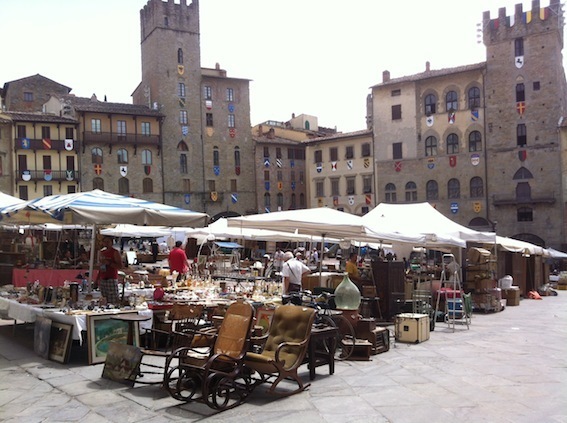 Arezzo Antique Market Every First Weekend of the Month! Since 1968. 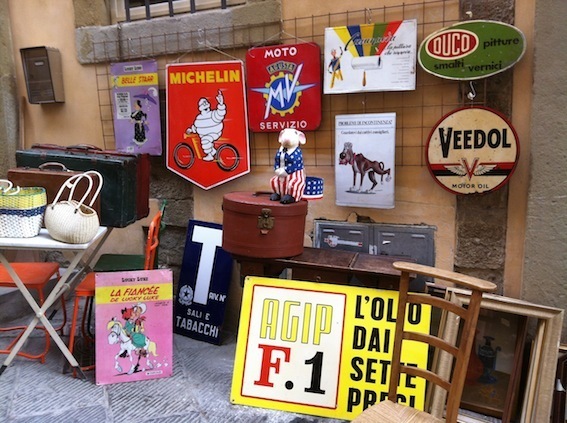 Largest antique market in Italy. Over 500 exhibitors selling arts, crafts, furniture, fabrics, collectors items, antiques and vintage and plain old things. Rustic, classic, vintage, fashion and kitsch bits and bobs from yesteryear. 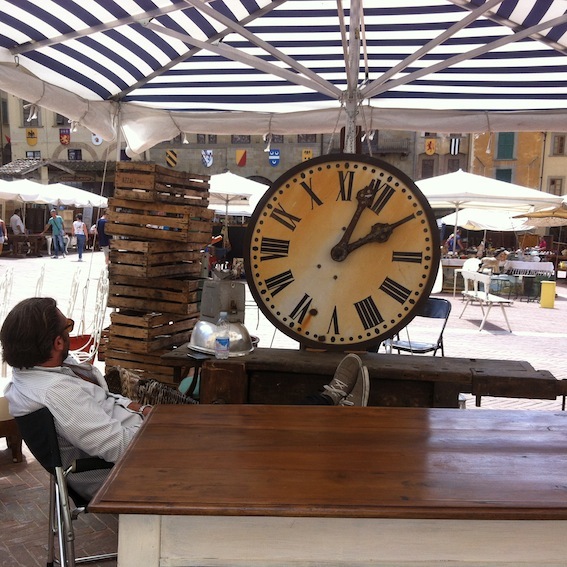 What you though you could never find again, you might just spot in Arezzo’s cobbled streets! Opening hours: 08.00 – 19.00. (First Saturday and Sunday of the month). Where: Piazza Grande and the surrounding streets in town centre. How to arrive: Train , car. Piazza del Popolo: Only 100 m from the market area. Parking € 2,00 per hour. Piazza Fanfani: Distance only 200 m from the market area. Parking € 2.00 per hour. Parcheggio Mecenate: Covered parking area, 10 minutes walk from city centre (1,2 km). Daily cost € 3,00. Free shuttle bus to the market area, Piazza Grande.